A criterion for revealing edge states in the case when the size of a system is comparable with the localization length of these states has been proposed. The application of the algorithm for determining edge states in short systems has been demonstrated on examples of the Bernevig–Hughes–Zhang (BHZ) model in the cylindrical geometry, the Kitaev model, and a chain with the spin–orbit interaction and induced superconductivity. It has been shown that for finite-length 1D systems, there exist ranges of parameters in which the edge states are not formed, although the topological index is nontrivial; conversely, the emergence of the Majorana modes in regions with a trivial topological index has been demonstrated. 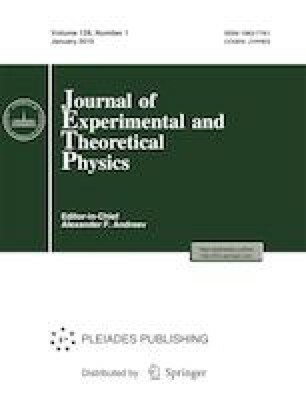 The author is grateful to the researchers from the Theoretical Physics Laboratory of the Institute of Physics, Siberian Branch, Russian Academy of Sciences for numerous discussions and their interest in this work. >The reported study was funded by Russian Foundation for Basic Research, Government of Krasnoyarsk Territory, Krasnoyarsk Region Science and Technology Support Fund according to the research project 17-42-240441 “Majorana bound fermions in the nanomaterials with strong electron correlations and quantum electron transport in the devices containing these materials,” project no. 18-32-00443 “Finite-size effects and the role of electron correlations in the formation of the Majorana modes in low-dimensional systems with the spin–orbit interaction,” project no. 18-42-243017 “Manifestation of Coulomb interactions and limited geometry effects in the properties of topological edge states of nanostructures with the spin–orbit interaction,” project no. 18-42-243018 “Contact phenomena and magnetic disorder in the problem of formation and detection of topologically protected edge states in semiconducting nanostructures,” as well as grant of the President of the Russian Federation no. MK 3722.2018.2.